Here are a few of the questions we are asked often. Answers will be coming soon. Have a question for us not on the list? Contact us any time! Where are you located?We are based out of the Denver, CO area, Arvada to be exact. Some of our local course are in Golden and Arvada CO, just west of downtown Denver. However we will come to you and your department to train. We have now taught in Alaska, Nevada, New Mexico, Wyoming, Montana, Florida, Nebraska, Michigan, Arizona, Mississippi, Texas and more and are currently looking at international opportunities as well. Do you teach courses around the country? 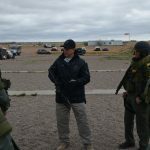 Yes, we teach our advanced shooter, SWAT training, Officer Survival and Dignitary Protection course nationwide. See our upcoming courses page for upcoming events near you. Can we sign up our entire tactical team for a course together? Yes! Many of our trainings are open for individual registration but we would love to have your entire team to train together. Not only is the team bonding irreplaceable, but the mental strength gained as a team makes the class even more valuable. Will you streamline a course towards our department’s specialized needs? Absolutely! Give us a call and let’s see what you have in mind. Let’s talk about your department’s unique challenges and how we can address them. What is your most common training course requested? It is hard to pinpoint just one. Each course will be favored by different groups for different reasons. 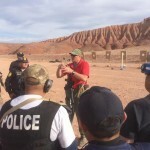 Our Officer Survival and SWAT Trainings have been much in demand lately. However, with news of more school and public shootings, School Faculty and Administration trainings have been in demand as well. Do you offer host programs? TAC*ONE Consulting is currently looking for host agencies for all of our curriculum. Hosting is a great way to bring our quality training to your department and the surrounding agencies while saving valuable training funds. Host agencies receive “host slots” and discounted tuition rates for hosting. Please contact us today for more information.